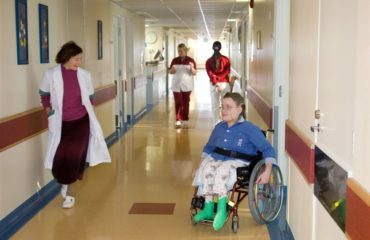 The World Health Organisation (WHO)’s Constitution on the Rights of Persons with Disabilities (CPRD) enshrines “… the highest attainable standard of health as a fundamental right of every human being”. The right to health includes access to timely, acceptable, and affordable health care of appropriate quality. According to the Convention on the Rights of Persons with Disabilities Art. 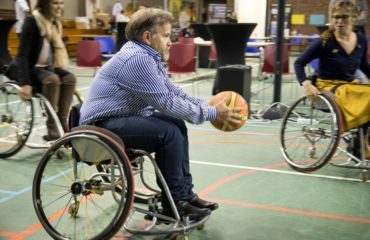 25 ‘’States Parties recognize that persons with disabilities have the right to the enjoyment of the highest attainable standard of health without discrimination on the basis of disability’’. By signing the Convention the States Parties commit to: providing the same standard and quality of free or affordable care to persons with disabilities as to others as well as providing disability specific care, to healthcare services being as close to communities as possible, to prohibiting discrimination in insurance, and preventing denial of healthcare due to disability. The right to health is universal and non-negotiable. Children and adults with Spina Bifida and Hydrocephalus (SBH) need different specialists who can address their multiple medical and cognitive issues and promote a healthier lifestyle. This can include urologists, neurologists, orthopaedists, psychologists and others. Simply put, individuals with SBH need an integrated system to deliver this complex multidisciplinary care. Services need to be age-appropriate and should ensure an effective transition from paediatric to adult care. Multidisciplinary care is ideally delivered through a one stop clinic where the patient sees all the specialists he/she has to see without the need to get various appointments for different specialists at different locations. The multidisciplinary approach also relies on good communication within the team of specialists about the patient’s condition. IF sees multidisciplinary care as the right care for persons with SBH. Lack of understanding of mental health needs of persons living with complex physical disabilities, and lack of accessible mental health services, have led to an ever increasing stigmatisation of the mental health issue, making it difficult to reach out for help when it is needed. We need to break this cycle. Uncoordinated nature of care and lack of availability of specialist medical devices. What is the cross-border healthcare? Cross-border healthcare refers to a mechanism in which the patient from one EU member state (where he/she is insured) uses the health services in another member state. 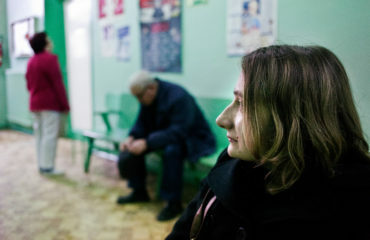 People often seek healthcare elsewhere when a specific treatment is unavailable, the specific care in the other country is considered better or on doctor’s recommendation. 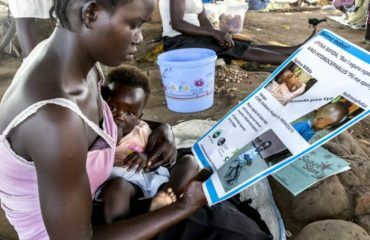 Accessible information campaigns on the right to health of persons with disabilities, designed and run with active involvement of representative organisations of persons with disabilities and patient groups. 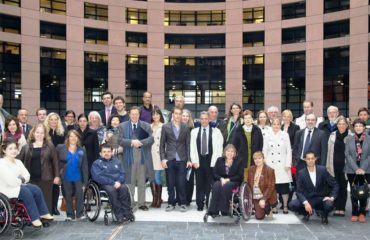 What is the European Accessibility Act (EAA)? 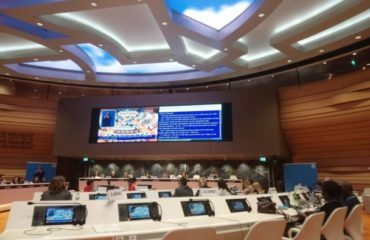 The UN Committee on the Rights of Persons with Disabilities recommended that the European Union take efficient measures towards the prompt adoption of an amended European Accessibility Act that is aligned to the Convention on the Rights of Persons with Disabilities. The Committee also recommended that the European Union ensure the participation of persons with disabilities, through their representative organizations, in the adoption process. The Committee on Internal Market and Consumer Protection (IMCO Committee), which is the responsible Committee for the EAA in the European Parliament, published a very worrying draft report. 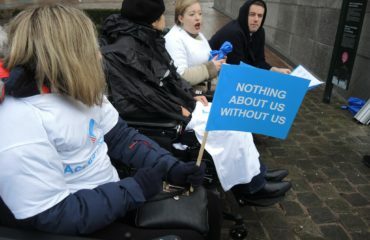 For that reason, on March 2017 IF joined the demonstration organized by the European Disability Forum in Brussels, calling for an strong and ambitious European Accessibility Act. European Reference Networks (ERNs) are virtual networks, involving healthcare providers across Europe. They aim to improve diagnosis and care for complex or rare medical diseases or conditions that require highly specialised treatment and a concentration of knowledge and resources. In 2017, 24 ERNs were launched, including the so called ERN-ITHACA, for congenital malformations and rare intellectual disability. IF and an initial group of 15 spina bifida healthcare providers from 7 countries were included in this ERN as an associated group. Active patient involvement and patient-centeredness is essential in ERNs. 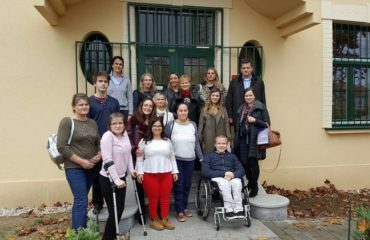 EURORDIS therefore has launched the ePAG (European Patient Advocacy Group) initiative to enable democratic patient representation. 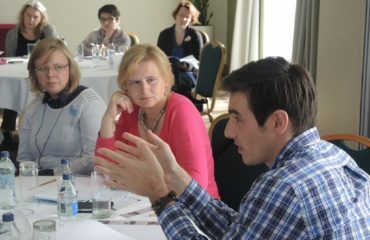 Membership of ePAGs is open to all rare disease patient organisations. IF selected Ammi Ammerson from its Swedish member association RBU to be its ePAG patient representative, and she has since been asked by the ERN-ITHACA to sit on the Board on behalf of our associated group. 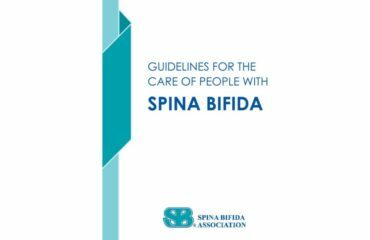 To create momentum in the field of spina bifida, a special working group has been established within the ERN-ITHACA in July 2018, which aims to bring together clinicians with spina bifida expertise from various ERNs. 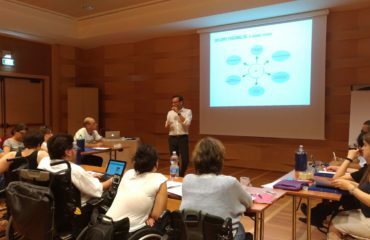 Together they will start to work on the development of European management guidelines for spina bifida. 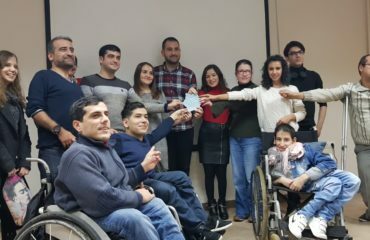 Ege Anli from the IF Youth Group and Turkish Spina Bifida Association gave an inspiring presentation about advocacy and independent living! 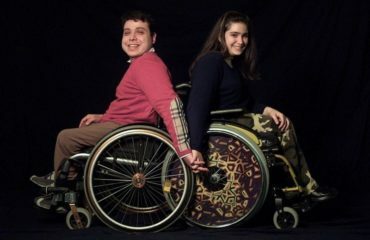 IF has launched a questionnaire on sexuality and body-awareness of people with Spina Bifida and Hydrocephalus (SBH). 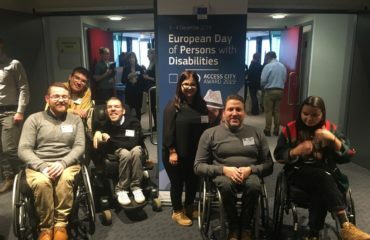 This year IF took part to the annual conference of the European Day of Persons with Disabilities, organized by the European Commission in collaboration with the European Disability Forum. We think that accessible toilets for persons with disabilities are a basic human right. 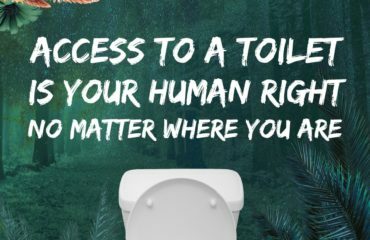 Read our statement for the World Toilet Day! 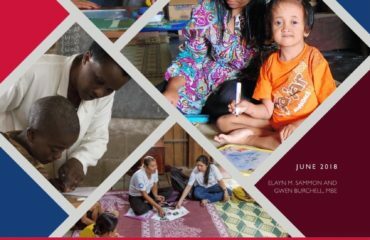 The “Family Care for Children with Disabilities: Practical Guidance for Frontline Workers in Low- and Middle-Income Countries” is a precious document for social service workers assisting children with disabilities and their families. 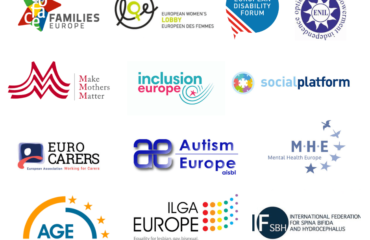 IF, together with COFACE Families Europe and 11 other NGOs, sent an open letter to the European Parliament, asking to find an agreement on the EU Work-life balance Directive by the end of the year. 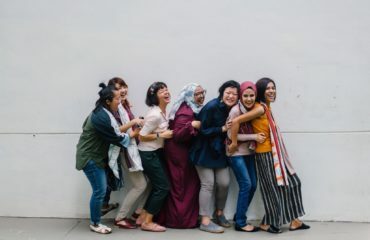 Make sure to follow our social media and take part in the IFGPI's Women's Health Wednesday polls that are posted each week with topics on prevention! 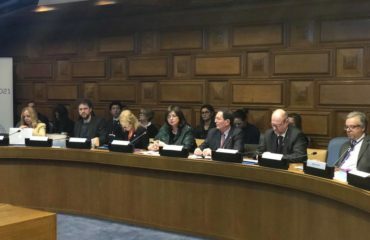 On September 3 Slaveya Kostadinova, president of SBHB, presented the most serious difficulties that Bulgarian children living with spina bifida and hydrocephalus face to the UNCRPD Committee members. 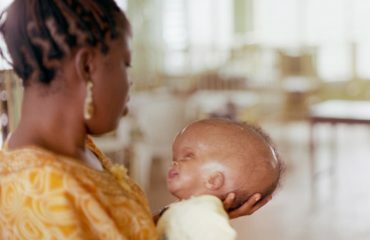 The rights of newborns with birth defects and disabilities need to be protected too, to safeguard their lives and offer them the opportunity to thrive. What does it take for persons with Spina Bifida and Hydrocephalus to reach the highest attainable standard of health? Are the SDGs implemented in your country? 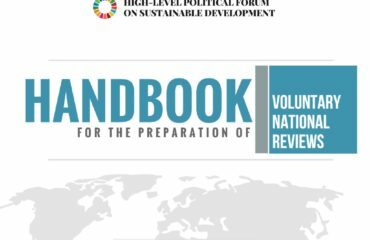 Contribute to Voluntary National Reviews! People with disabilities need to be involved in reviewing the progress of the implementation of the Agenda 2030. 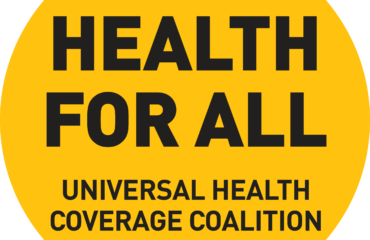 Universal Health Coverage Day - leave no one behind! 5 years ago the United Nations endorsed a resolution that should encourage countries to support universal health coverage and guarantee the right to quality healthcare for all. 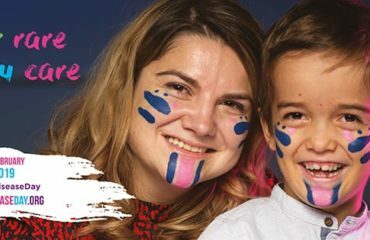 On Friday 7th December 2018, health stakeholders from all over the world will stand together, united in a celebration of Patient Solidarity Day (PSD). In 2019, the 8th European Conference on Mental Health will be held in Belfast, Northern Ireland.